As the weather gets more treacherous, so do the pavements so it’s essential that you keep on top of maintaining these areas. Falling leaves and an excess of mud from wetter weather can cause difficult conditions for pedestrians and can lead to trip and slip hazards, which can be incredibly dangerous. You can try and reduce this risk by regularly sweeping precinct areas and preventing a build up of these hazards. Here at Go Plant we provide a wide range of sweepers including precinct sweepers, which are specifically designed for this purpose. 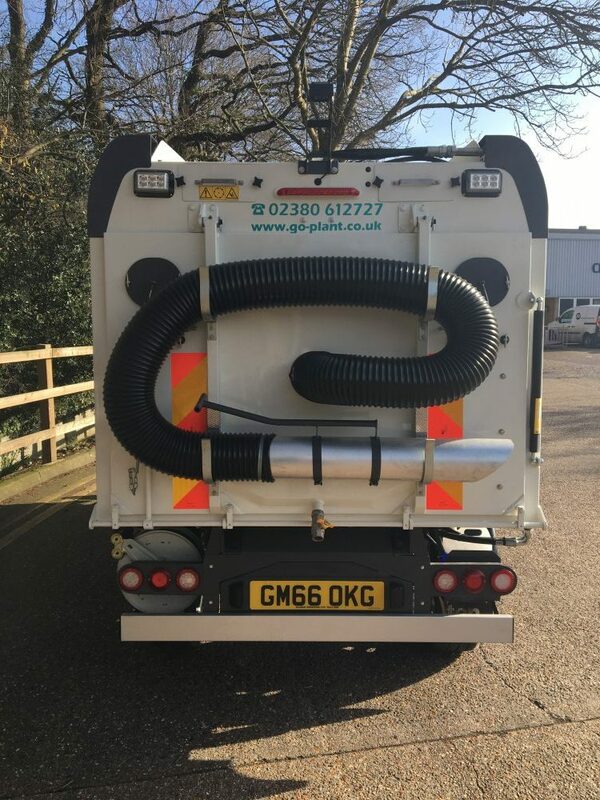 They are built on a small chassis and this makes it possible for them to reach areas such as pavements and pedestrian areas, sweeping them efficiently with ease. Precinct sweepers also much more manoeuvrable which makes them perfect for reaching tricky areas, and easy to control in areas where there may be pedestrians. Our precinct sweepers have a dual sweep, reverse camera, beacon and warning lighting system, work lights, air conditioning, high pressure spray lance/wash system, hydrant kit, leaf flap and wash lamps.